SSC notification 2017 declared the important dates for upcoming SSC common graduate level exams. 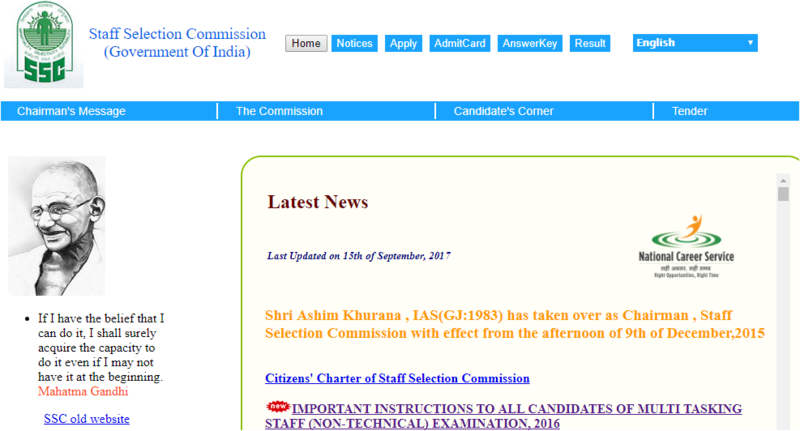 The SSC commission has finally released the official date to conduct CGL tier test on its official website. So, the candidates who are interested and have registered for the SSC CGL tiers exam can now check their test dates on the official website of SSC at www.ssc.nic.in. And the students who have already given the Tier I exam of August can check the details of next tier exams such as Tier II, III, IV exams. The Staff Selection Commission next combined graduate level Tier II exam to be held from 27 November to 30th November 2017. And the Tier 3 exam to be conducted on 21 January 2018. Every year SSC conducts combined graduate level exams for the various levels such as Tier I, Tier II, Tier III and Tier IV to recruit the eligible candidate for the various government department posts. After clearing the Tier I exam candidates are eligible to apply for Tier II exam similarly after clearing Tier 2 exam candidates eligible to appear for the SSC CGL Tier 3 level exams. As per the official notification, the interview and the personality test of the SSC CGL 2017 Tier 4 exam will be conducted in February or March 2018. Candidates are advised check the official notification and the details for their CGL Tier exams.